Afif Bahardin tells of his Reformasi journey from Shah Alam to Penang. GEORGE TOWN: When Dr Afif Bahardin joined PKR in 2009, a fresh medicalgraduate, he already had nine years of political exposure behind him. A child of the Reformasi era, his interest in politics had begun when he was 13 when Anwar Ibrahim was sacked as deputy prime minister in 1998 and the Reformasi movement started. “Somehow it sparked my interest to read more and find out more about what had happened. “Seeing that Malaysians had gone out on to the streets during that period somehow spurred me to further learn, and to take notice of what was happening,” he told FMT in an interview. He kept scrapbooks of newspaper cuttings and articles about what happened then and while studying at university, he helped PKR leaders such as Anwar, Azmin Ali, and Sim Tze Tzin, cementing his involvement with the party. “I joined PKR officially after the 2008 general election success, after I had graduated from UiTM in 2009 with a medical degree. I was posted to the Penang Hospital for my housemanship. It was in Penang that I became an official PKR member,” he said. He could not join earlier as he was bound by the University an University Colleges Act, which forbade students from participating in any political parties. 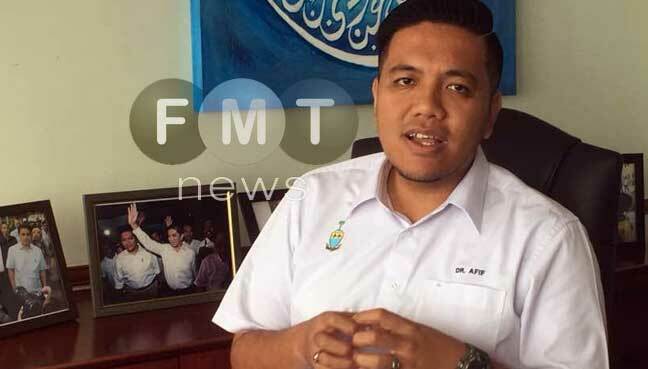 Shah Alam-born Afif rose up the ranks, starting as head of the young professionals bureau in the state PKR Youth, and become vice-chief of Selangor PKR Youth three years later. It was also during this period that Afif progressed in his medical career. After completing his housemanship at Penang Hospital, he was posted as a medical officer in Sungai Buloh Hospital, juggling political work with his professional duties. It was then that the party and leaders hinted to him that he should concentrate on Seberang Jaya in mainland Penang, which was, uniquely, a Barisan Nasional stronghold, although a state seat in the Permatang Pauh parliamentary constituency. “From 1999 to 2013, we had not won the seat. So two years prior to the 13th general election, I was persuaded by some of the leadership, especially state PKR chairman Mansor Othman, Sim and Azmin to consider doing ground work in Seberang Jaya. “While I was still posted in Sungai Buloh, I decided to help out, and went there almost every weekend to do some campaigning and work the ground. 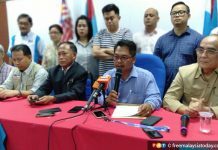 It was only a month before GE13, when it was almost certain I would be the candidate for PKR in Seberang Jaya and a week before nomination, I tendered my resignation as a medical officer,” he said. Afif went on to be a candidate in the state seat, and successfully broke the BN grip on the seat with a majority of over 2,000. Looking back after two terms as Seberang Jaya assemblyman, Afif said he had known from the beginning it would not be easy to break BN’s grip, especially as Arif Shah Omar Shah of Umno was very popular and very well liked in the constituency. “He was known to be very humble, very people-oriented, likeable, able to speak in Mandarin, which is a quality not many Malay leaders have. I tried to be seen as likeable and approachable as he was. “BN made the mistake of not fielding Arif Shah again in GE13 and when that happened, I saw my chance of winning the seat as higher, because I had already done my ground work for two years,” he said. At the 11th hour, BN decided to field Mohammad Nasir Abdullah, later dubbed as a “win-cable candidate”, as opposed to being winnable, by Arif Shah. Afif said politics was all about getting familiar with constituents. “They have to know you are part of them, with them, that they’re not being intimidated by your presence. I think that was what we achieved in those two years of ground work. We managed to secure the seat,” he said. He was then only 28, and his only thoughts were about serving as a state assemblyman, as well as setting up his own practice. “I was still hoping to continue as a doctor. I never expected to be appointed a state executive councillor,” he said. Afif remembers vividly what happened after they had won on May 5, 2013. “If you remember on May 8, there was a big rally in Kelana Jaya. I remember it, because that night, I received a phone call about 11pm from the chief minister, Lim Guan Eng. “I did not recognise his number, so when he called, I said ‘Hello who is this.’ And Lim said ‘this is CM speaking’. I immediately said sorry for not recognising who it was. “So that’s what happened. He congratulated me on the win, and told me he was going to appoint me as a state executive councillor, to which I said ‘thank you sir. I am honoured,” Afif said. 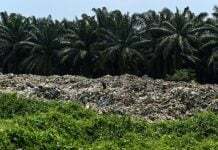 Afif was the faced with the fact that he would be dealing not only with health matters but also agriculture, an area in which he had almost zero knowledge, as head of the state health, agriculture and agro-based industry, and rural development committee. “It was something I needed to pick up immediately. I was still so young. I didn’t think I had that experience or anything I could offer at that moment,” he said. It was also something new for Pakatan Rakyat, as he was the first under the age of 30 to be appointed an executive councillor. His biggest challenge was time management, in handling all three portfolios. “The three portfolios are very different. It is the equivalent of three different ministries. Somehow I managed to find some connection and created programmes that were inter-related,” he said. He regarded agriculture and rural development to be the most challenging. “Health has its challenges, but the system is there, well built, and run by professionals. They are able to deliver according to the system we already have. 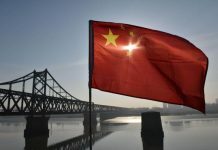 “On the other hand, these other two sectors, while they are run by professionals, the working attitude is different,” he said. Afif then resorted to going to the ground, calling up all the state agency directors and telling them that he did not know much about agriculture, and that they had to teach and tell him. “That was probably one advantage I had being young. I was not too shy to ask and learn. I asked a lot of questions. “Now if you ask me, at least to a certain degree, I can answer most of the issues related to agriculture – padi planting, fruit planting, aquaculture, even up to the level of pig farming. I can tell you how to be successful as a pig farmer. “So this is what I had to go through, and the best way to learn is to be hands on, go out, meet those who are experts and knowledgeable. They will be able to tell you what to do. It’s a steep learning curve,” he added.